The Philippines, through Department of Trade and Industry’s Board of Investments (BOI) Governor Lucita Reyes, Semiconductor and Electronics Industries in the Philippines (SEIPI) President Danilo Lachica and Ionics Vice-President for Operations Mr. Jay Chavez, recently participated at the celebration of World Trade Organization’s 20th Information Technology Agreement (ITA) Symposium held on 27-28 June in Geneva, Switzerland. 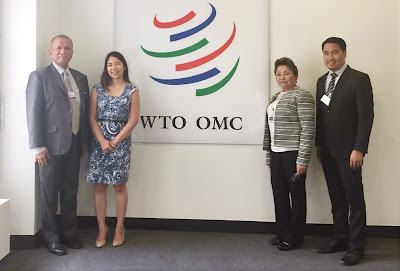 According to Magnolia Uy, DTI Philippine Trade and Investment Center in Geneva (PTIC-Geneva), the event allowed for the member countries to highlight ITA’s role of providing households and domestic businesses access to more affordable and higherquality Information and Communication Technologies (ICTs) through tariffs elimination on hundreds of ICT products. The Philippines, as one of the 82 signatories of ITA, has benefited from the initial ITA signed in 1996 and its expansion of list in 2015. According to the Philippines’ chief ITA negotiator and Board of Investment Governor Lucita Reyes, the country’s ITA membership helped lower prices for key ICT hardware inputs that the BPO industry depends upon. At present, the country’s ICT services exports account for roughly 70% of total services exports while the ICT goods exports account for more than 35% of total exported goods. In terms of ICT goods exports, Lachica added that the Philippine semiconductor and electronics industry continues to grow at a steady rate, ranking as the 17th largest exporter of ICT products in the world valued at approximately USD 24 billion (out of USD 29 billion total electronics exports). However, according to Ionics Vice-President for Operations Jay Chavez, to sustain the demand of ICT services enterprises for ICT products, it is imperative for the Philippines to move up the value chain for ICT products by engaging in products and systems design and by taking manufacturing to the next level through the implementation of smart factory and Industry 4.0 technologies. The ITA was finalized during the 1996 WTO Ministerial Conference in Hong Kong while the Philippines became a signatory to the Agreement in 1997. In 2012, members recognized that technological innovation had advanced to such an extent that many new categories of IT products were not covered by the existing agreement. As negotiations to expand the coverage of the Agreement began in 2012, the ITA expansion agreement (ITA-2) was concluded during the 2015 WTO Ministerial Conference in Nairobi. 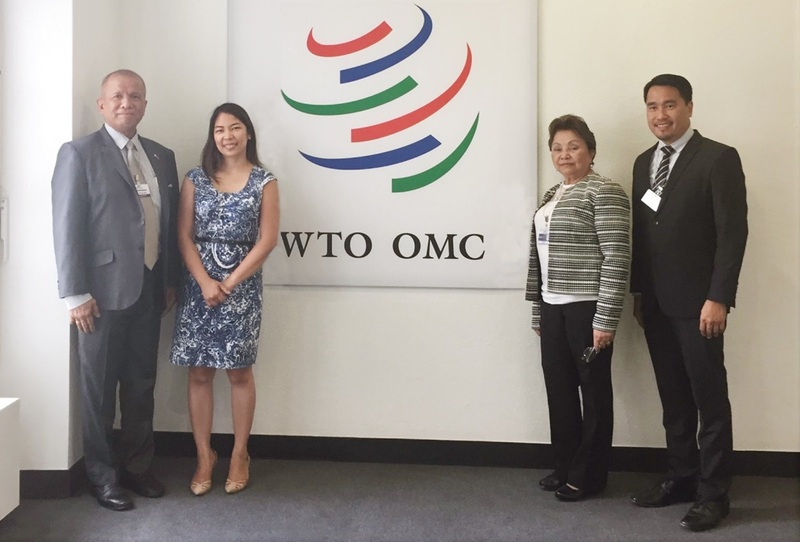 The Philippines availed of the flexibilities of extended staging of PH cites benefits of WTO Information Technology Agreement 2| P a g e tariff reductions of the Agreement. Executive Order (EO) 21 that mandates the Philippines ITA commitment will enter into force on 1 July 2017. WTO Director General Roberto Azevedo opened the Symposium and noted how exports in the products covered by the original Agreement tripled from USD 549 billion in 1996 to approximately USD 1.7 trillion in 2015 representing an annual growth rate of 6%. At present, ITA products account for a remarkable 15% of all global manufacturing exports. ITA membership also increased from 29 WTO members in 1996 to 82 today, accounting for over 97% of global ICT trade.